It's Me is a Personal Portfolio/Gaming Website Template for Professionals. You can use it for your personal resume, CV or your portfolio. 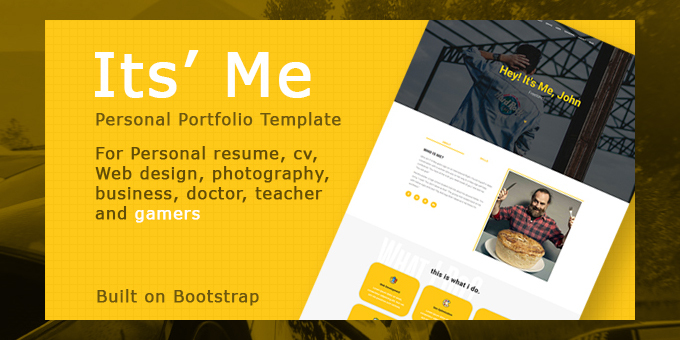 It's Me template is written in valid and clean HTML & CSS3 code. It’s Super easy to customize and also well documented so it’ll suit your needs. If you are a online professional this template will be good choice for you.